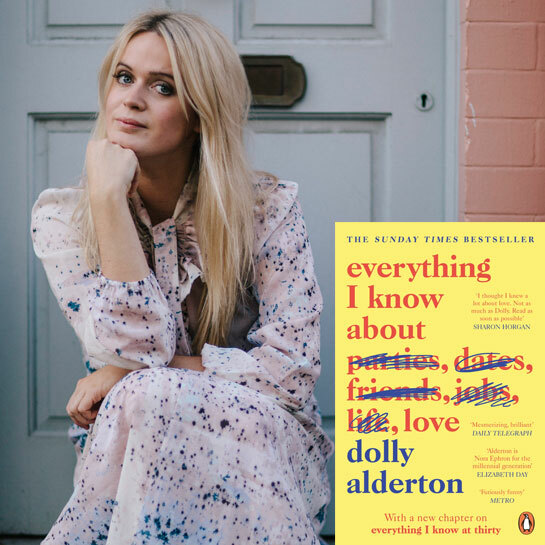 Author, journalist, broadcaster and podcaster, Dolly Alderton’s riotously funny debut book, Everything I Know About Love, was shortlisted for Waterstones Book of the Year and won best autobiography at the 2018 National Book Awards. She vividly recounts falling in love, wrestling with self-sabotage, finding a job, throwing a socially disastrous Rod Stewart-themed house party, getting drunk, getting dumped, and - above all else - recognising that you and you alone are enough. Dolly started her career as a columnist and then became story producer for Channel 4’s Made in Chelsea. She is currently a Sunday Times Style magazine columnist. Dolly will be one of the judges for the 2019 Women’s Prize for Fiction.